The heat has been unbearable the past two weeks. Last night, we finally had a thunderstorm, and although it was loud and scary, it was a welcome relief from the triple digits heat index and the brick-like humidity. It seems that this year's summer will be best spent indoors or some place near the beach. 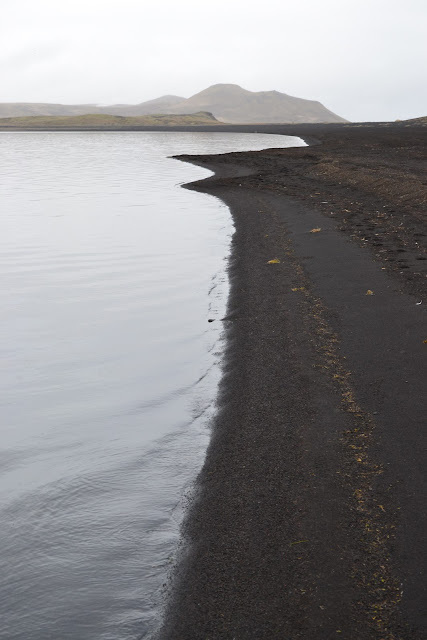 The summer heat is making me wish I was back in Iceland and the still, cool waters of Kleifarvatn. During our stay in Iceland, we rented a car to explore the Reykjanes Peninsula. 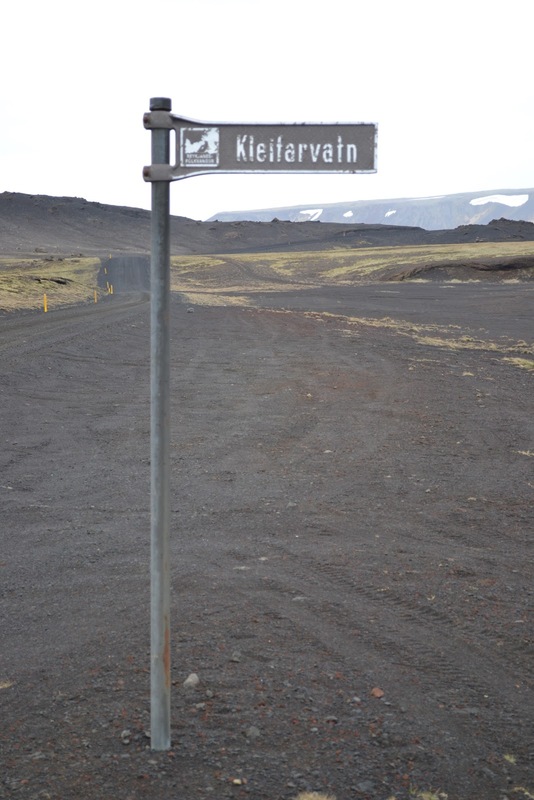 Driving in Iceland is very easy because there's only one major highway that loops around the island. Also, we found the roads wide open except for the slow traffic concentrated within Reykjavik. One of our stops was to explore Kleifarvatn. Kleifarvatn is the largest lake on the Reykjanes Peninsula. The water level of this lake has always been very sensitive to climate changes and has been used as a local rain gauge. Since June 17, 2000, the water level in Kleifarvatn has been lowering at an average rate of 1.3 cm/day. Spawn from trouts were released into the lake in the sixties and have thrived quiet well. The road going to the lake is darkened with volcanic ash and gravel. There were still ice caps on the mountains far ahead. The clouds came down to kiss the earth. This part of the lake looks perfect to pitch a tent and spend the night. The water was calm and quiet. You could hear a pin drop in this area. I could sit here all day - just me and my thoughts. This photo was taken at around 10 PM. It's amazing because it felt and looked like early morning. Oh Kayni, I could stay there all day too especially since we are also having a very hot summer. I would love to be in that cool lake right now. so calm and beautiful. it reminds me of the body of water where harry potter would ride the animal (horse+bird) can't remember the name over it. oh yeah. majority of the us had a severe weather conditions with extreme heat. we on the west coast however have been thankfully spared so far. heat is expected to rise however, i hope it's not too much as we don't really get too hot around where i live. I might just move to your side of the woods. The heat here is unbearable at times. I know exactly what you mean. While I was there, I was thinking of some lake monster breathing underneath the calm waters...lol. Very very serene, I could go there and just think about all things wild and it still does not disturb the peace. Hi Priscilla, Glad to meet you here. We'll check your blog today.